Lou Reed, the punk-poet of rock n' roll who profoundly influenced generations of musicians as leader of the 1960s cult band Velvet Underground and remained a vital solo performer for decades after, has died. 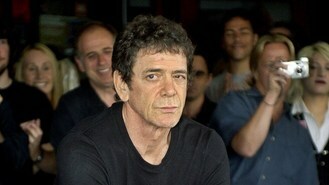 Lou's literary agent Andrew Wylie says the legendary musician died on Sunday morning in Southampton at the age of 71 of an ailment related to his recent liver transplant. Lou never approached the commercial success of such contemporaries as the Beatles and Bob Dylan, but no songwriter to emerge after Dylan so radically expanded the territory of rock lyrics. No band did more than the Velvet Underground to open rock music to the avant-garde - to experimental theatre, art, literature and film, to William Burroughs and Kurt Weill, to John Cage and Andy Warhol, Lou's early patron and long-time inspiration.